It's almost 5pm and you know you need a drink. Whether you're a fancy lad or a plain Jane, we've got you covered. Tucked away on Province St by Sam Lagrassa's, Hub Pub is a great place to shut yourself off from the world and grab yourself drink. The staff is very friendly, and this place has a very laid-back vibe. This place has one of the best beer selections in Boston, and it is a great place to decompress after a long day. They don't have a full liquor license, so you might not be able to get your favorite cocktail, but that should not stop you from paying this place a visit. As they don't even have a website, Biddy Early's' dive bar street cred is unparalleled. In the dive bar world, not having a website is like having a speed boat in the Head of The Charles Regatta. Go drink a beer and play some golden tee, you deserve it. This place has a beautiful bar and interior design - its couches and spacious layout make this a great place to bring a bigger group right after work. The cocktails are some of the best in the city, so maybe go that route if you're up to it. 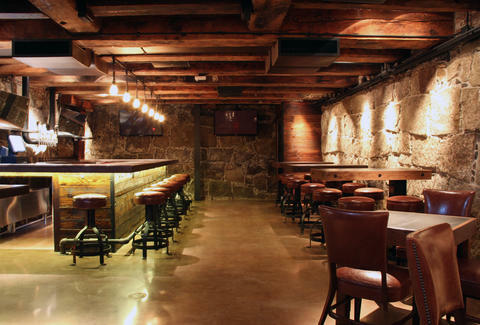 Granary Tavern is one of the best looking restaurants in Boston. Their website nails the description: "The Granary Tavern is a place where rustic and modern elements mend seamlessly to create a casually-stylish environment." 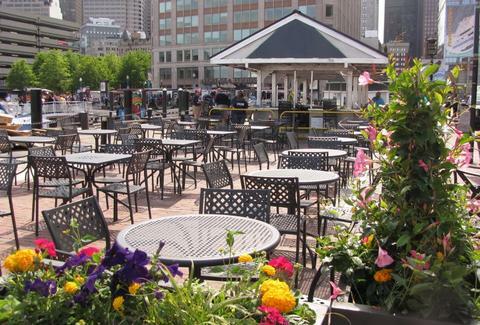 An added bonus, when the weather is nice, they have some great outdoor seating on Atlantic Ave. Get the Chicken Fried Chicken. The happiest place in Boston. Seriously. When the weather is right (which is has to be for The Landing to even be open because it is all outdoors), you will always find a crowd of locals, tourists, and generally happy people sitting out at The Landing on the water. Order a fish bowl if you've had a long day or order a bucket of Corona's if you're with a group, either way you're winning! Hours: Open seasonally from 10am-11pm 7 days a week pending weather.